Sure, most of us at least pretend to do some spring cleaning this time of year. It’s expected of all rational, mature, home-owning or home-renting adults, right? But how many of us dig deep and really do the dirty work? We don’t mean the daily stuff we do all year long, like clearing the sink of dirty dishes or making sure the laundry is put away. 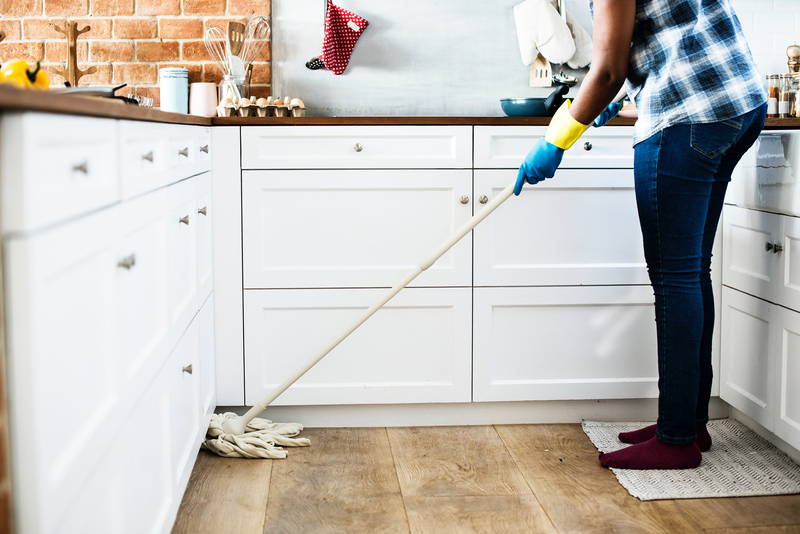 We’re talking about the scrubbing, scouring, painting, pruning, shampooing, steaming, replacing, refinishing — the annual UPKEEP that has your home not just looking clean, but being clean and well-maintained, saving you time and money down the road. The truth hurts, but here it is: There’s a big difference between tidy and clean. This is not a guilt trip, promise! Just a reminder to step back from the busyness of life and take care of what’s important. Home is not just a place — it’s where our lives happen. It deserves some TLC now and then. Shampooed your carpets and area rugs? Cleared your gutters of leaves and other debris? Trimmed the hedges and trees back from your house? Washed the windows or power-washed the deck and siding? Washed your shower curtain or bathroom rugs? Replaced the batteries in your smoke detectors? Decluttered your closets by getting rid of clothes or shoes that no longer fit (or that you just never wear)? If more than a few things on this list have been left unchecked, it’s probably time to tackle the whole lot. This is not a comprehensive spring cleaning checklist (here’s one), but it should give you an idea of where you stand. What have you been neglecting? What could stand to be organized? Remember, less clutter and messiness at home equals fewer roadblocks to a happy, productive life. Cleaning house is good for the soul! Make the whole job easier with the right products. Some jobs require special tools, but much of the cleaning can be handled with nothing but a bucket of hot, soapy water. You’ve got the water, we’ve got the soap: Scentsy’s new All-Purpose Cleaner Concentrate. It can be used on just about every surface in your home, including walls and floors, and just one properly diluted bottle makes six 16 oz. bottles of cleaning solution! When used, it also forms a clear, dirt-repelling barrier to make cleaning easier over time. And instead of leaving behind that nostril-burning ammonia scent, it’s infused to leave your home smelling like fresh Scentsy fragrances — think Aloe Water & Cucumber or Lemon Verbena. It might seem intimidating at first, but you can do this! Try these tips to make your list more manageable, and start chipping away. It doesn’t have to be finished in a day — or even a week — but it does need to get done. To stock up on hardworking Clean and Laundry products that leave your home squeaky clean and freshly scented, contact your Scentsy Consultant. Don’t have a Consultant? Find one here. Separator image Posted in Organize, Our Products, Tips & Tricks.